Food & Drug Corporation (FDC) is a leading FMCG and pharmaceutical importer, marketer and distributor in Lebanon. Our impressive portfolio of brands and commitment to engaging with consumers has made us one of the key players in the FMCG and pharmaceutical categories. We are shaped by our team of 650 professionals, effective procedures and sustainable approach to growth. Headquartered in Beirut, our reach extends to more than 7,000 outlets all over the country. Because we believe in offering consumers quality daily products, we carefully select our brands, rapidly adapt to the latest international trends and anticipate future developments. Our insight into the Lebanese market and local preferences ensures we give people brands that suit their contemporary lifestyle and improve their lives. Food & Drug Corporation (FDC) was established in 2000 and yet builds on more than 40 years of expertise. 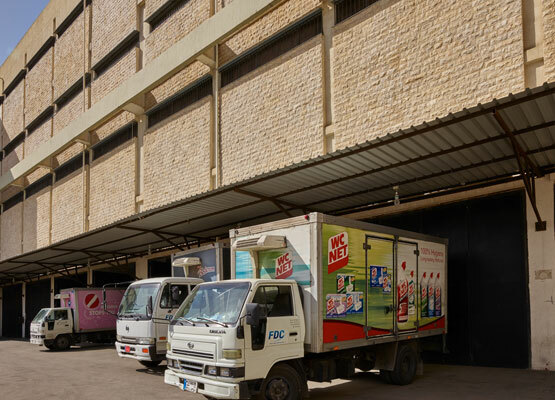 An importer, marketer and distributer of fast moving consumer goods and pharmaceuticals in Lebanon, FDC was born from the merger of two major companies, Pharmabel (established 1974), a firm specialized in the sales and distribution of pharmaceuticals and para-pharmaceuticals, and Marketing Services (founded 1979), a major player in the FMCG market. Food & Drug Corporation’s (FDC) mission is to provide consumers with everyday brands that improve the quality of their lives. Using our large market share as a catalyst, we aim to develop and grow in a way that ensures optimal customer satisfaction. Our vision is to remain a key player in the supply and distribution of consumer goods and healthcare products while continually expanding our market coverage and footprint. This entails providing our partners, brand owners and business associates with added value. We also want to be a model employer of choice by truly caring for our employees and opening the doors to new possibilities. At Food Drug Corporation (FDC) our approach to work is firmly rooted in key values:Accountability: We act responsibly because we genuinely care about consumers and our reputation for excellence. Customer Service: Our clients’ best interests are ours. This is why we go the extra mile to guarantee satisfaction at all times. Integrity: Honesty defines us and we always communicate openly.